John's Phonic MM1202XP mixer failed a (PAT) Portable Appliance Test.I was interested to read your explanation of the dangers of unearthed equipment in the August issue. I engineer for a singer/acoustic guitarist and use a Phonic MM1202XP desk as a monitor mixer. This desk recently failed a Portable Appliance Test (PAT) due to a failed earth connection. On closer inspection it was obvious that this piece of equipment had never been earthed — it had left the factory in this condition. On returning it to our supplier, it transpired that this was a known 'issue' with the Phonic desk and the fact that it had failed a PAT came as no surprise to the supplier. It only took a moment for our supplier to connect an earth strap to the case and re-test the desk — which, to their credit, they did free of charge. But I was shocked, thankfully not literally, to learn that it is possible to purchase new equipment that does not have an earth connection. Technical Editor Hugh Robjohns replies: A scary story, and all the more disturbing that the supplier was aware of the issue. However, some equipment is 'double insulated' and does not require a mains safety earth. If this was the case with your mixer, and it was marked in accordance with the regulations, a qualified PAT engineer should not have complained that it wasn't earthed. Although I am not particularly familiar with Phonic mixers, the fact that your PAT tester rejected the equipment for the lack of an earth implies that it was faulty in this regard and thus in breach of the electrical safety regulations for which it was certificated for sale in the UK. I understand that your model is now discontinued, but I hope your supplier will be checking all future stocks for compliance. Perhaps Phonic pulled the product because of what you have experienced? As usual, I look forward each month to what I will find in SOS. Elliot [Schneider, interviewed in August's feature on Donald Fagen] and I love that each of us uses different means to make records, but we enjoy listening to each other's work. Like Elliot, I use analogue when I can, but unlike him I use a combination of Pro Tools HD and Logic Pro, which is mostly used for my outboard rack and often my summing mixer. I have used Nuendo in the past, but didn't fall in love with it. Like him, I'm a big fan of Universal Audio's plug-ins. I use the LA2A and 1176 and I make use of their UAD plug-ins. That Plate plug is amazing and has become my go-to reverb, while I use their Neve 1073 all the time. From my point of view, the sound of digital has much to do with the A-D/D-A converters. I use UA 2192s or Pacific Microsonics Model 2s. I look forward to Focusrite's Liquid Mix, which I have read about in SOS. Their Forte suite is another of my favourite plug-ins. 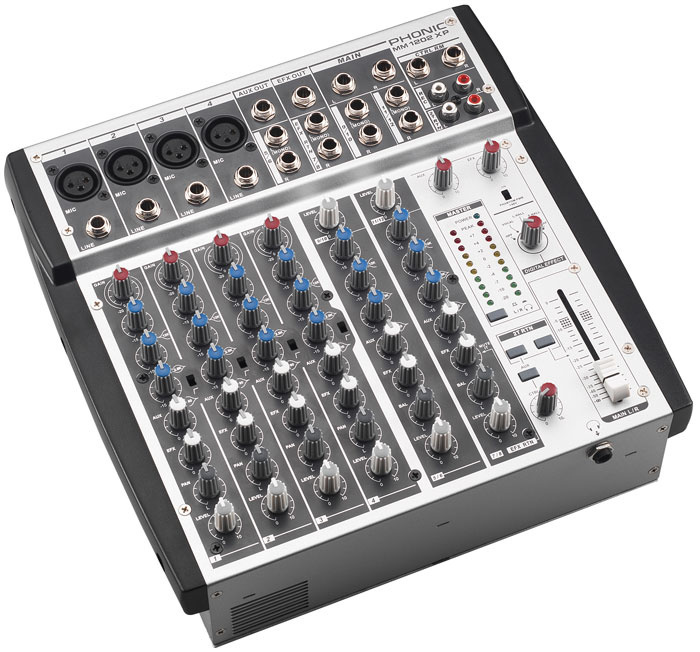 I bought an Analogue Systems RS300, after reading your review in SOS September 2004, and I'm shocked that it can't send the MIDI data generated by each of the CV inputs to different MIDI channels, as there is only one MIDI channel per RS300. This is, in my opinion, a substantial restriction that should have been at least mentioned in the 'cons' box of the review. Since all other CV-to-MIDI converters I know (Eobody, Doepfer A192, JL Cooper) allow the individual inputs to be sent to separate MIDI channels, this restriction can definitely be a show-stopper. As far as I'm concerned, I am now left with a unit I have no use for. SOS contributor Paul Nagle replies: After reading your email, I revisited my review, afraid that I'd overlooked something. However, it states quite clearly that the RS300 is not designed to generate output on multiple MIDI channels. Here's a key quote: "The Special Options menu allows you to set the MIDI channel of the module, which is a global setting and not stored within user memories. You must therefore change the channel manually when controlling different synths or, alternatively, use a rechannelise function on your sequencer if you have one." To add more than that would have laboured the point and I felt the unit was perfectly well-specified as it was. 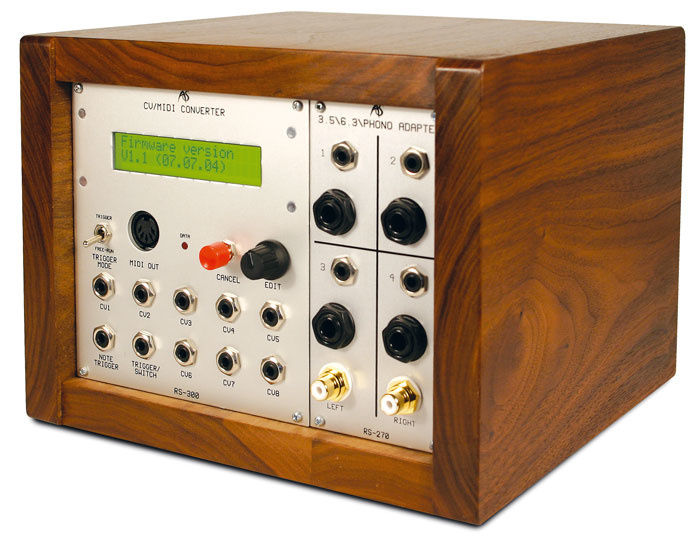 Of course, there are so many applications for modular synthesizers that no review will ever anticipate them all. Thus, unlike the Doepfer unit you mention, the RS300 can generate MIDI notes. This, combined with its modulation CVs, can lead to some remarkable sounds — for example, when you route a modular's LFOs, sequencers and envelopes to MIDI-controllable parameters on a synth such as a Virus or Supernova. These were the aspects of the RS300 I found most exciting and thus concentrated on. I'm sorry that you feel you have no use for your RS300. It must be frustrating, considering you knew of other products that did provide the feature you needed. As the Doepfer module is cheaper too, it makes your choice of the RS300 puzzling. A review is not intended to be a one-stop purchase guide, nor is the pros and cons box an alternative to reading the entire text. It's illogical to merely scan the cons and decide that, because a particular feature is not mentioned as absent, it must be present! One of my cons was "Priced a little beyond the casually curious" and, wherever possible, I'd advise downloading manuals and checking whether a feature you intend to rely on is actually present, prior to spending money. Reviewers, like end users, have their own set of judgements and assumptions. After all, remember the old Chinese proverb: "One man's pro is another man's concubine."